Walking, make it a habit for Healthy Living. Healthy People Make Healthy Society. Kasu Brahmananda Reddy Park, popularly known as KBR National Park is a vast spread of lush greenery and rich fauna which is located in the middle of Hyderabad city, named after former Chief Minister Kasu Brahmananda Reddy, this park promises rejuvenating nature that is ideal of relaxing. 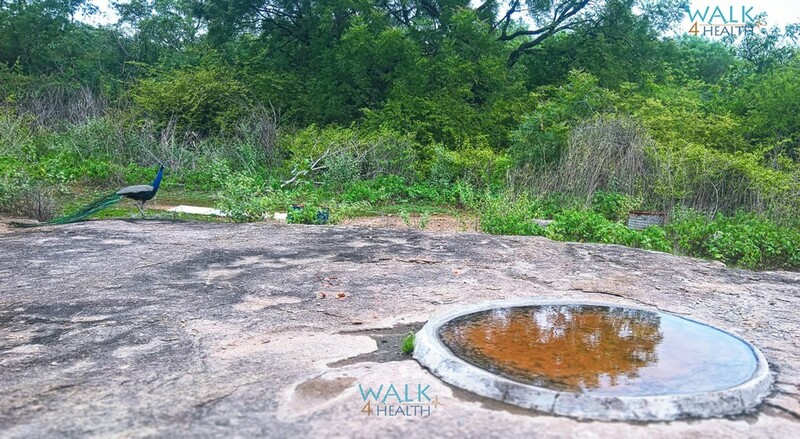 Kasu Brahmananda Reddy - KBR National Park is located in between Jubilee Hills and Banjara Hills. It is spread over 352 acres and divided into conservation zone - 213 acres and visitor zone -139 acres. KBR park provides an excellent lung space and an environment away from the busy city life and pollution, a paradise for walkers with a view of lush green, hilly terrain and diverse flora and fauna. There are around 600 varied species of trees and plants in the kbr park which includes sandalwood, teak, neem etc. KBR park has 133 bird species including peacock, partridges, quails and owls; 20 species of butterflies and several invertebrates, 20 reptiles and amphibians including Cobra, Python, Russell Viper and lizards, 20 mammals including Hares, Porcupines, Civet cat, Jungle cat, Jackal and Pangolin. This area was declared as National Park in 1998 by the State Government, after getting the approval of central government. KBR Park has mutiple walkways inside the park and one on the periphery. KBR Park is perhaps Hyderabad's most popular park, especially for morning and evening walks. KBR Park was accredited with certification of well managed national park in India by SCS Global Services (International), in December 2014. This was the first among all the 600 national parks and sanctuaries in India. Located on the road no 2 of Banjara Hills, opposite to the TDP Party office and near to LV Prasad Eye hospital. Walking, Jogging, Open Gym, Bird Watching, Meditation are some of the activities visitors can engage here. Welcome to KBR Park, Hyderabad, Telangana, India.